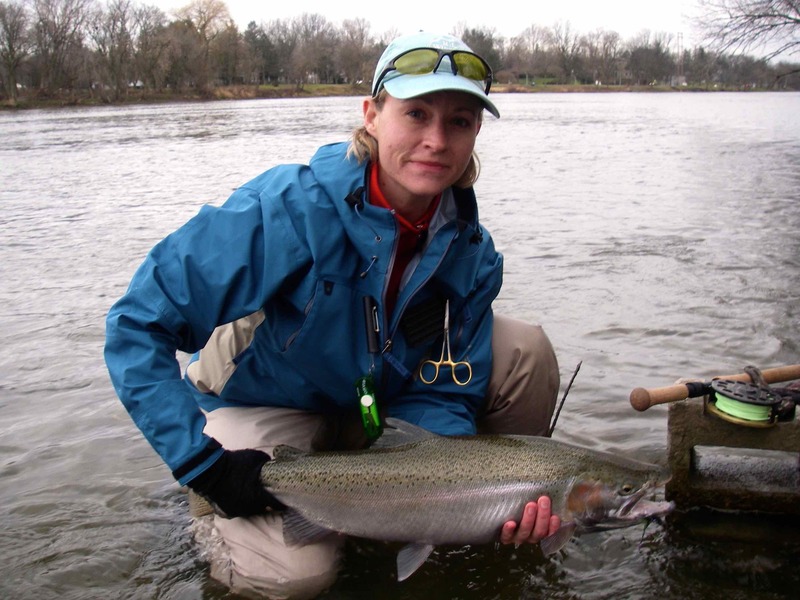 Becky Knifton – Grand River Steelhead. Becky began fishing at an early age with her grandfather and father. Like most starting to fish it was using live bait, fishing for anything that would bite. Becky had a lot of fun fishing in those days with numerous funny stories. A few years ago Becky took up the art of fly casting. 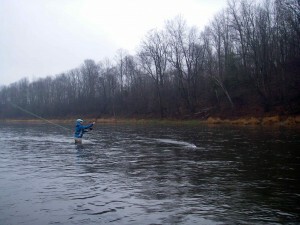 Becky Knifton – Casting on the Grand River near Whiteman’s Creek. With practice casting taking place on the beaches of Lake Erie, she became a very proficient single-handed caster. Becky prefers the challenge of swinging a fly effectively versus other techniques for hooking fish. She honed her skills while fly fishing for rainbow trout, brown trout and both smallmouth and largemouth bass. Steelheading was the next natural adventure so Becky began using a two-handed fly rod to chase down Ontario’s chrome beauties. Never having fished for, or caught one of these, you can imagine her excitement when she landed her first ever steelhead her first season out! 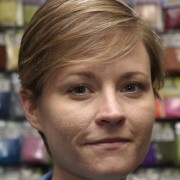 In 2013, Becky shifted her focus to teaching and enlightening other women about fly fishing. Becky Knifton – Women’s Beginner Two Handed Spey Casting Course. 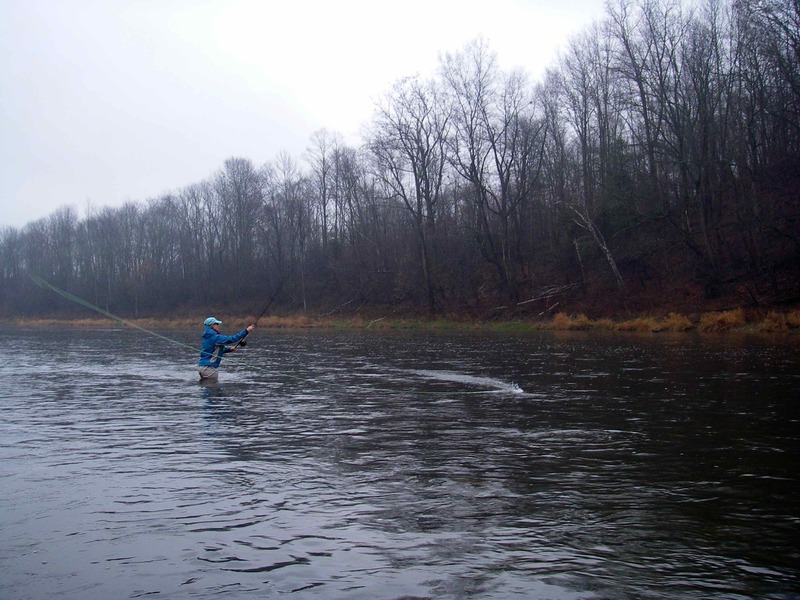 She taught the first ever Women’s Beginner Two-Handed Spey Casting Course for the Grand River Spey Clave in the fall of 2013. 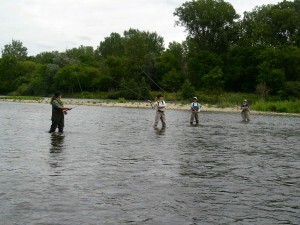 Becky emphasizes fly fishing is for everyone of all talents. With many more events scheduled, you will be sure to see Becky out on the water with other ladies, and even her own daughter! See here for Becky’s past Guest Presenter Sessions. 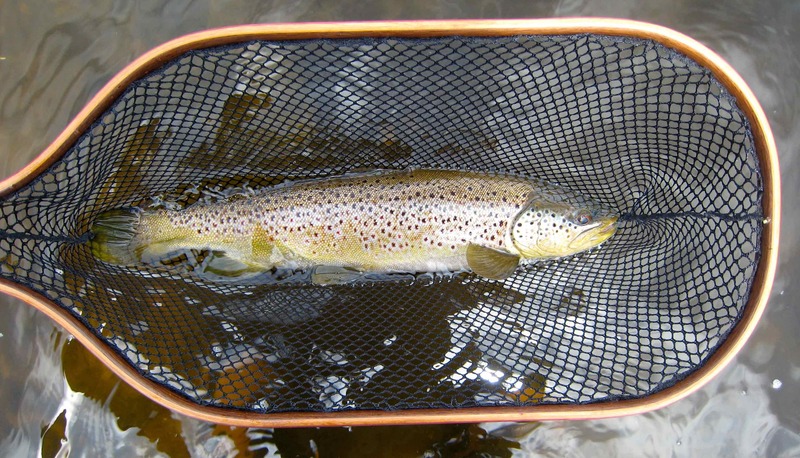 19″ Grand River Brown Trout – Rushton Landing Net – “The Brown Model”. Landing and proper handling of a fish you intend to release requires good equipment and proper technique. These tasks are made much easier when using a well designed landing net. Rushton Landing Nets are individually handcrafted using only the finest hardwoods from around the world, and are available in a wide variety of sizes to suit your angling needs. Rushton Landing Net Guide Dragon. The Dragon is a large net for big fish. It gets its name from Dragon Lake in Northern British Columbia which is the home of many trophy sized Rainbow Trout. The six ply hoop with 31″ handle makes landing these trophies an easy task. The Dragon also has inlaid dots down the length of the handle every 2″ which will allow for a quick length measurement before release. 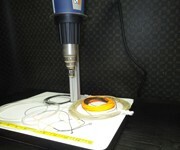 A durable urethane finishes the package. Rushton Landing Nets Guide Series Brian Chan. 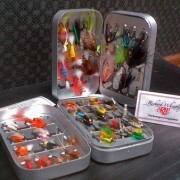 The Brian Chan Catch & Release Net is a standard style catch and release net with a five ply bow and a 30″ handle. 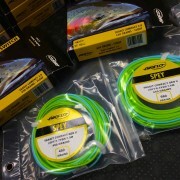 The large hoop dimension and deep net bag make it ideal for catch & release fishing out of a boat. The net has the name lasered down the length of the handle and Brian Chan’s signature under the Rushton Net logo. See here for other options available and contact us for current inventory, pricing and or delivery. 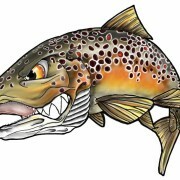 New to TFC – Expanded Selection of Atlantic Salmon Wets and Dries in several sizes. 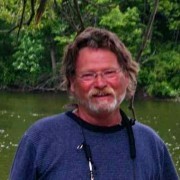 https://thefirstcast.ca/wp-content/uploads/2013/12/wheatleyflies-e1390188308137.jpg 120 160 admin https://thefirstcast.ca/wp-content/uploads/2013/12/TFC-Header_Web_2B.jpg admin2013-12-31 00:00:162015-06-07 19:26:34New to TFC - Expanded Selection of Atlantic Salmon Wets and Dries in several sizes.